New EMEA offers in iQuote Universal for HPE. Note: This is a Europe wide promotion in iQuote Universal only at this stage. Universal users will be notified of the new Indicative Buy Price feature when they next login. To access these prices, users will need to follow the link to the Partner Ready Portal to login and confirm they are an HPE Partner. Once authenticated, users will be passed back to iQuote and have access to better pricing on select SKUs. Users will be able to view the estimated reseller prices and the saving made. Note: This is a pilot promotion in iQuote Universal for the UK and Germany only at this stage. Login to iQuote Universal today and realise the HPE savings that can be made! We are delighted to announce a new product category in iQuote 2 for all accessories and services. This category has been introduced in iQuote 2 for both Hewlett Packard Enterprise and HP Inc. If you are using the new iQuote 2, it means you can now enhance your quotes to build a complete solution for your customers, increase your attach rates and in turn your revenue potential! What accessories can you expect to find? From additional memory, cables, batteries, and USB devices through to laptop bags and monitors, there are plenty of accessories to choose from. The accessories feature is now live in iQuote 2 for users to start enhancing their quotes. Login to iQuote 2 today and start building your quotes. iQuote is Configure, Price, Quote Software developed by channelcentral.net for Hewlett Packard Enterprise and HP Inc.
We are excited to announce the launch of a new Red Hat Product Selector. We have been working with Red Hat to develop a solution that guides customers through a selection of filters to assist them in their buying journey. 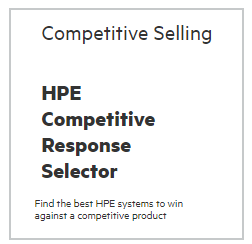 Initially, the Product Selector is only available for use inside our Hewlett Packard Enterprise (HPE) iQuote Configure, Price, Quote software but in time, it could be available elsewhere. The Red Hat Product Selector has made it easier than ever to build a 100% validated quotation. Simply login to iQuote as normal, select your base HPE unit and once you are through to the configuration screen, select ‘Software’ and ‘Red Hat’ and you will be presented with a selection of filters to choose from. 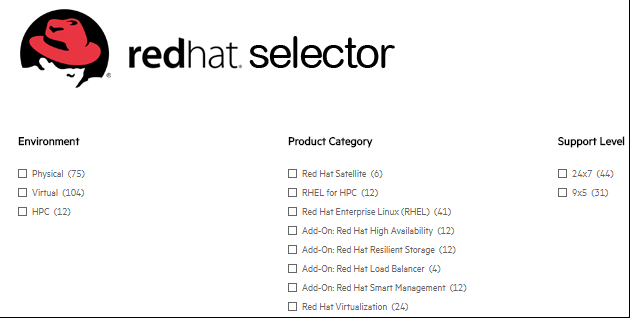 Once you have chosen your requirements, our intelligent Product Selector will recommend which Red Hat products are compatible to build you a complete HPE Server solution. August 2017 marks 10 years of channelcentral being in business. We are incredibly excited to be celebrating. It has taken a lot of hard work to get to where we are today, made slightly harder by the Global Recession that coincided with our launch! In August 2007 channelcentral started as a team of just 4 people working out of a spare rooms. A year later, our flagship product, iQuote, was born. Today, iQuote is used around the world in over 60 countries by Hewlett Packard Enterprise and HP Inc. customers. This configure, price, quote (CPQ) software has helped grow their businesses and provide efficiencies within sales teams in hundreds of Distributors and Resellers. Off the back of iQuote’s success, channelcentral has been able to develop new CPQ Software services, Product Selectors, B2B Sales Portals, and Smartphone Apps as well as many custom built developments to assist the IT Channel. 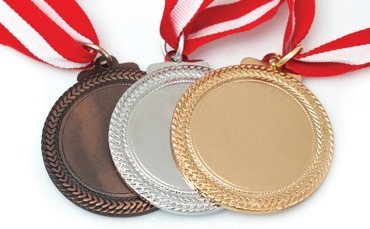 Our Software has been shortlisted for a few awards along the way too! Today, channelcentral has 2 UK offices and a presence in the US and Colombia to support it’s ever growing business. With 29 members of staff, many of which have come from the IT Channel and are experts in their field, channelcentral is looking forward to the next 10 years and developing many more software solutions for IT Vendors, Distributors and Resellers. 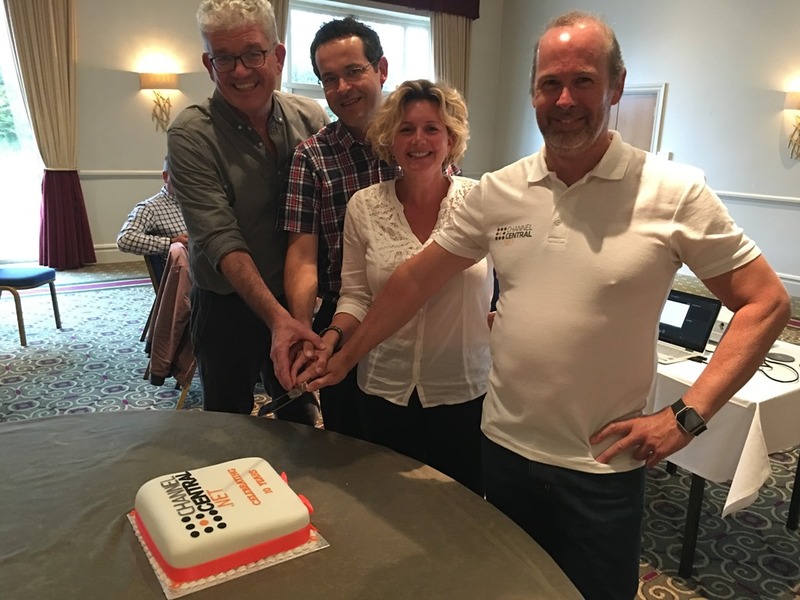 At our Company Meeting held in August 2017 we reflected on the last 10 years and enjoyed an obligatory cake. A huge Thank You to all of our customers for helping us get this far. We wish we could have saved you some cake! Check out the new Training Credit Selector. Always looking to improve the customer journey and sales opportunities in iQuote, we are delighted to announce our partnership with HPE Education Services. If you haven’t seen it already, next time you login to HPE iQuote you will be able to see the Training Credit Selector as you enter the configuration screen. Quickly and easily search the vast technical training curriculum available from HPE Education Services. The Training Credit selector will ensure you add the appropriate amount of Training Credits to your quotes. Read more about how to use the Training Credit Selector. Those that seek HPE technical training will enable business productivity and efficiency by ensuring they have the skills required to make the most of their technology investment. HPE Education Services has been recognized as a leader in technical training by IDC for 5 years running. Login to iQuote today and start using this great new feature!